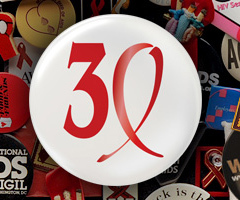 This Sunday was the thirtieth anniversary of the CDC report that would become the first mention of HIV/AIDS. IRMA is commemorating this with a short series on AIDS history. It will explore where we began, where we are now, and where we are going as we continue to battle this disease with hope and determination. This is part three of five. Today everyone realizes that AIDS is a global issue, from the First World to the Third World. In 1999, AIDS became the fourth most common cause of death in the world. To the average American, however, AIDS as a global issue did not seem so important until the turn of the century. The United Nations began to hold increasingly frequent meetings to discuss HIV/AIDS-related issues, and American politicians and activists began to turn their gaze outward. The Joint United Nations Programme on HIV/AIDS (UNAIDS) was launched in 1996, and by 2000 the UN was a vital player in the global fight against the disease. In that year alone the UN, the WHO, and UNAIDS worked to negotiate pharmaceutical prices for HIV/AIDS drugs in the developing world, the UN Security Council met regarding AIDS and its effects on peace/security in Africa, and the UN announced its Millennium Development Goals. The same year the G8 met and announced a need for more resources to battle the pandemic. The UN would, in the next few years, hold its first Special Session on AIDS (reviewed in 2005), launch the Global Coalition on Women and AIDS, and continue to reinforce its commitment to providing prevention and treatment options for HIV/AIDS worldwide. The United States also began fighting AIDS on a global scale during this time. In 200 President Clinton announced his administration’s Millennium Vaccine Initiative, declared HIV a national security threat, and issued an executive order to aid developing countries in producing and importing generic treatments for HIV/AIDS. He and his legacy would continue to work to provide these drugs at a low cost to developing countries worldwide for years to come. In 2001, the Bush administration vowed to continue a commitment to fighting AIDS both nationally and globally. The CDC created a plan to halve US infections within five years. Early in 2003, President Bush announced the creation of the President’s Emergency Plan For AIDS Relief (PEPFAR), a five year plan devoting $15 billion dollars to fight AIDS internationally. This was, and continues to be, the largest commitment by any country to combat HIV/AIDS. The first $350 million was authorized the next year. The US, the UN, the G8, international projects such as the Global Fund to Fight AIDS, Tuberculosis, and Malaria, countless other organizations, have continued to fight for HIV/AIDS prevention and treatment, and as the 31st year of AIDS begins there is a renewed energy to this battle.